Has the debt problem really been addressed? 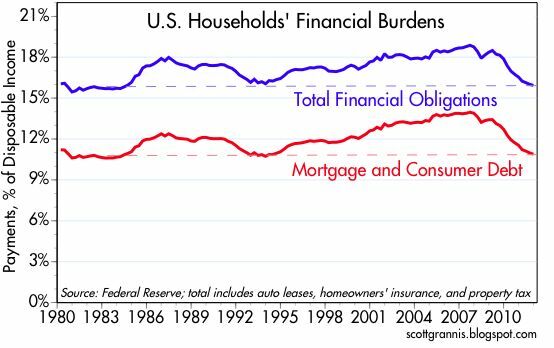 The lower debt burden indicated in your chart has much to do with the current low level of bond yields and interest rates. If interest rates were to rise (perhaps in response to the inflation threat that you discuss) the debt position would be rather less sustainable. In this regard, it seems to me that US equities have got a problem whether we get a proper recovery (higher interest rates and lower ratings) or if we don’t (deflation and lower profits). Whilst I concede that it is quite possible that the nominal low for the S&P500 was seen in 2009, IMO the next low will be closer to that level than the recent high. Love the new website. Keep up the good work! The war debt burden meant interest rates had to stay low whilst inflation was high, like the current period. Stocks really took off as of 1949. Real growth got going as of 1950. Interest rates were only gently increased for the next decade and stayed historically low, and I see the same occurring here. 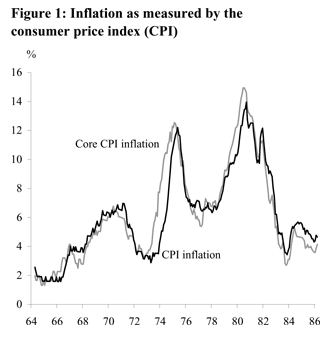 Inflation was still problematic in 1951 and 1952, as commodities made an echo bounce and interest rates obviously catered to inflation. But that’s all a bullish cocktail for nominal stocks. Less so in real terms, but still bullish in real terms too. Let me add to that, as I have been responding by mail on this too. Think piecemeal and gradual. 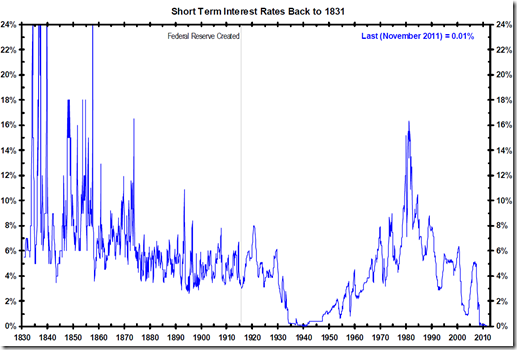 Interest rates will stay low, which will encourage growth (as happened post 1940s). Inflation will be permanently higher (as per real inflation stats trends) and this will gradually lower the debt burdens. Governments will continue their tinkering to promote growth and revenues (novel actions and one-off quick wins). Demographic models become more favourable in the next few years, and debt rollover requirement for countries such as Spain and Japan ease off as of next year (in history, debt to GDP levels didn’t cause the crises but rather not being able to meet short term debt commitments). And of course much of the global growth looking ahead will come from developing and emerging markets, rubbing off on the West, plus technological evolution (real progress). So a slow process towards a gradual improvement in overall growth and debt burdens until maybe a decade later Western central banks will once again have full control over interest rate policy. What sort of inflation are you anticipating? If inflationary expectations become unachored, the velocity of money bottoms out and central banks are slow to tighten policy, surely we will see much higher inflation. In which case the PE on Wall Street will be half its current level. I don’t have a target. I expect oil to go parabolic again, like in 2008. So a higher high for oil than in 2008 and a higher high for inflation. If I had to guess, then 7-8% official US inflation, 11-12% Shadowstats, drawing in the parallels. But need to see how things develop – e.g. does the Fed do QE again, does major trouble erupt in one or more key oil supply countries (influenced by rising sunspots), does global wierding ramp up sending food prices spiralling upwards, etc. Typical of many women my wife has always loved shopping ; she also loves a bargain. 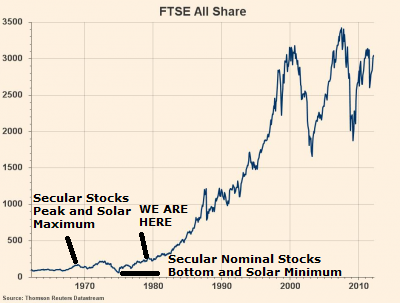 Now you may ask – ” William, what on earth has this got to do with markets?” Well recently I have realised that my wife, John Hampson and Warren Buffet have something in common. We are in the process of moving house and my wife decided to sell some junky stuff on Ebay. After she had sold a few items she realised that the sales that had their closing auction at the weekend seemed to get higher prices so she tailored her sales accordingly. That’s one point. What I found more interesting was when she decided to start ” investing”(she always calls buying clothes – a good investment) some of her proceeds. She set up the search and alert section to alert her of any particular known high quality names that she has bought in the past and still does for the matter.Then she sat back and waited. She would constantly interrupt my conversation with exclamations of how a certain dress had just appeared, whilst intently viewing her smart phone. To my mind,(not that that counts for much) she doesn’t need any more clothes but I have been impressed with her steely determination to get “her assets” at a cheap price. She has bought ten items. Four of them are absolutely brand new with the tags on, four look as if they have been laundered maybe once and two are just Ok. She knows that the new value of this lot is about £900 because her wardrobe testifies to the fact that she has other similar garments. BUT she only paid, all in, £46 for the lot. When I congratulated her she pointed out, looking at me as if I was one of her children, that the way to “invest” was simple. She said that all the garments looked the same in the pictures irrespective of how they were presented, and there seemed to be little correlation between the price she paid and the actual received product so, given that nobody has a crystal ball, the only important variable that she could control was the price she paid. Hat tip to my wife,John and Warren! She should trade the markets! 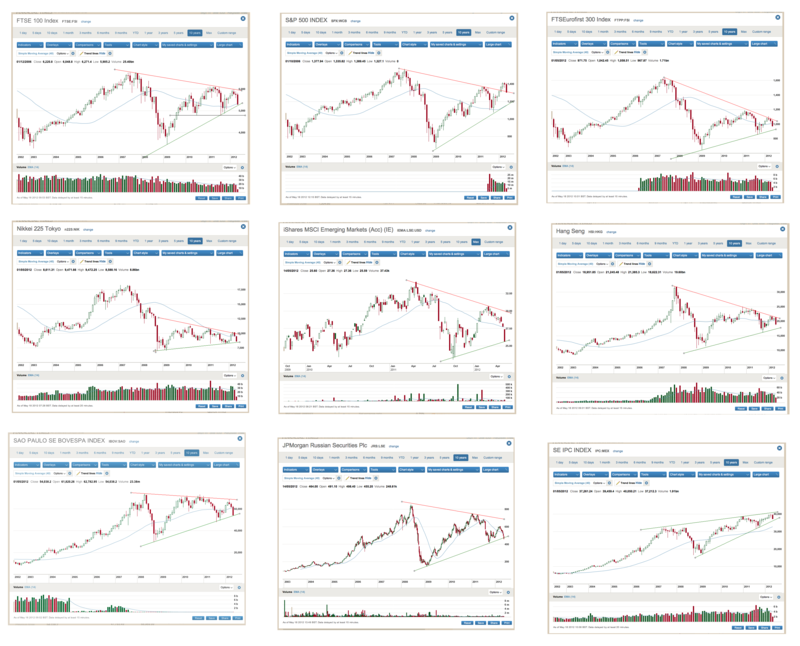 – The stock markets around the world have taken a beating. S&P 500 is now trading in its 4th standard deviation away from the mean which is very rare (just like Gold only last week). 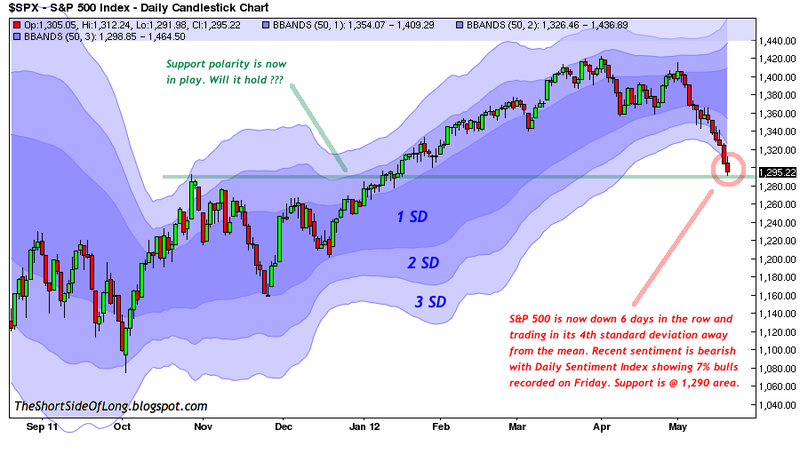 On top of that, last Friday Daily Sentiment Index recorded only 7% bulls. As we wash out in coming days, I think a rally from oversold and overly bearish conditions could occur (once again just like Gold like last week). – GEMs stock funds saw the largest outflows in 5 months (since December 2011 lows) according to EPFR Global – which tracks global flow of money. That tells us investors are once again in panic mode from the short term and the equity markets in majority of BRIC nations are also very oversold. However, GEMs stock funds saw $20.5 billion inflows in 2012 compared with an outflow of almost $11 billion for the same period of 2011. In other words, while the selling is overdone in the short term, maybe there is more to come down the road, as investors really poured money into GEMs in the first half of this year. – EPFR also reported that investors pulled $611 million from commodity funds last week. 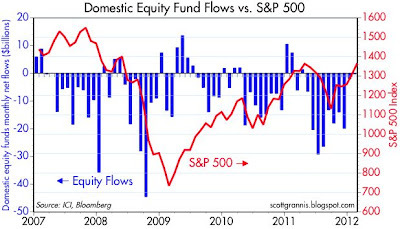 This is now the fourth consecutive week of outflows – the longest slide of investor selling since October of 2011 bottom. Total commodity outflows were $1 billion in April. Gold and precious-metals funds accounted for $143 million of the outflows. 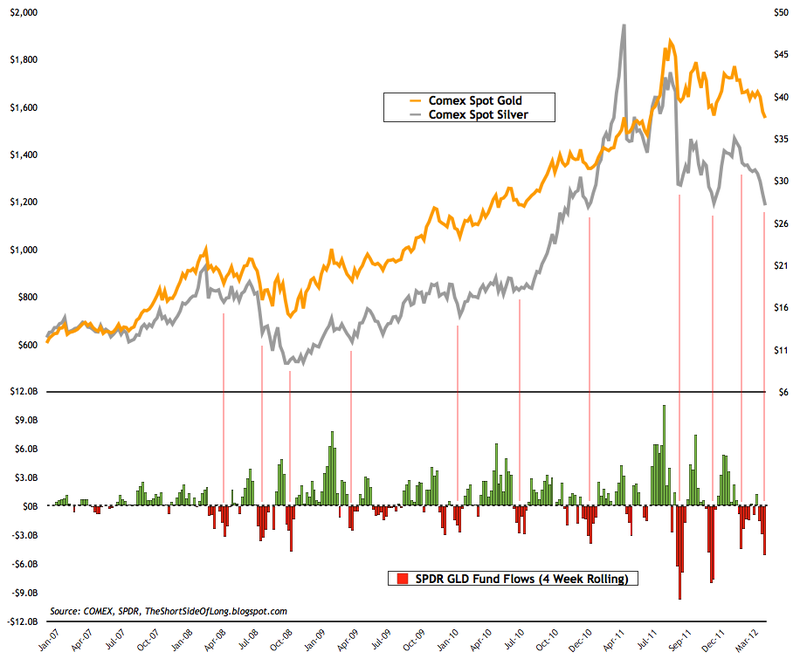 GLD outflows war also strong last week, as already posted on the blog. – US Treasury Long Bond is up 8 weeks in the row, very very overbought and has recently made marginal new record high in prices @ 148, above the previous record in September 2011. If the risk on markets stage a rally from oversold conditions, there is a chance that Bonds could reverse and create a false breakout on the upside, trapping all the bond bulls and deflationists. The correction could than be quite strong. 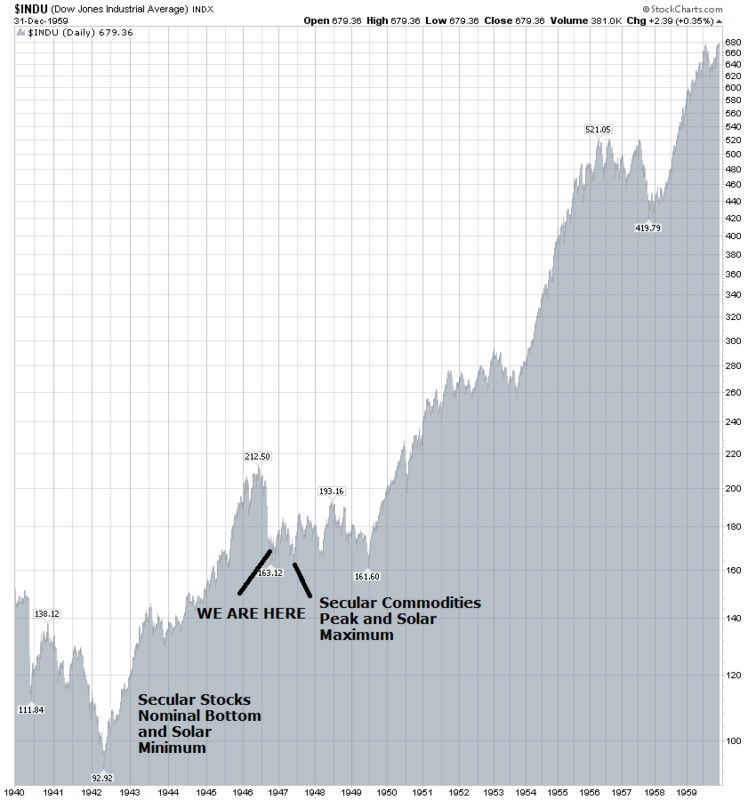 The key word is IF… markets are ripe for the outcome, but a major catalyst might be needed. – Two mining CEOs quit last week. John Greenslade of Baja Mining and James Komadina of International Tower Hill Mines. 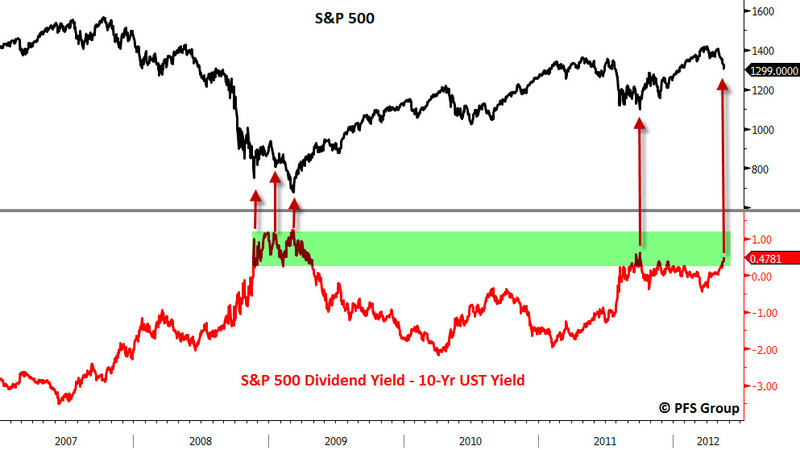 This could be another sign of contrarian signals to be added to the list, where a bottom is much closer than the top. Gold Mining companies have been slaughtered in recent weeks and are extremely oversold. Gold Mining Price to NAV, which is a very good sentiment / valuation measure, has reached close to 2008 lows. While extremely cheap, I personally will not be buying this asset class, apart from small trade positions in the future. Thanks Tiho …….very comprehensive as usual. 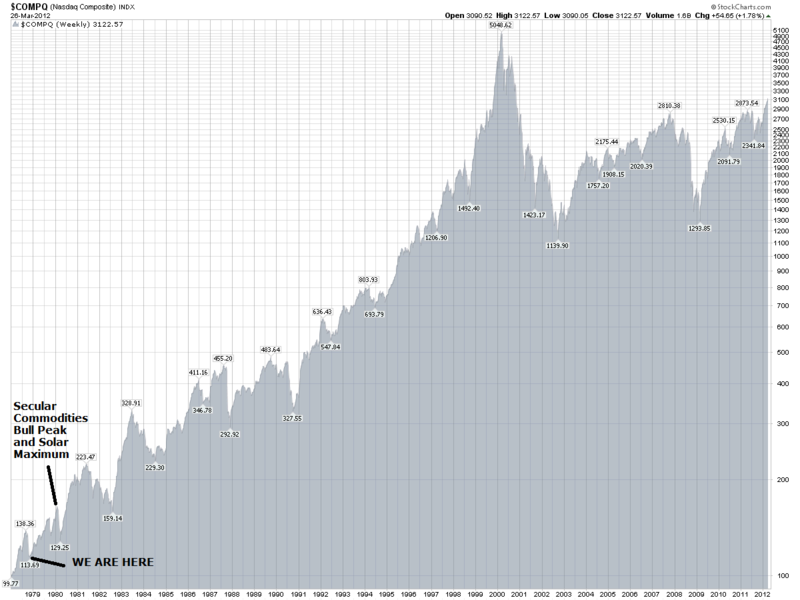 Equities……..still odd that there has been no capitulation at Rydex and no flight to cash. In my opinion, the bear market is starting. That is why I think we are going to be sliding on a slope of hope, instead of rising on the wall of worry. Investors will constantly be hoping for this and hoping for that. It has already started, with majority crying out for Fed and ECB to save the day… again! 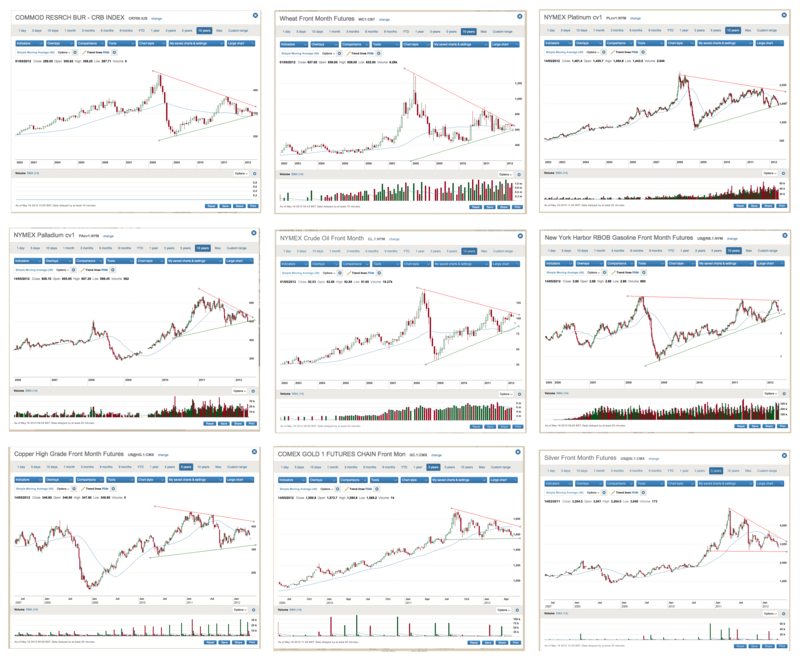 Investors have come to expect money printing on every 10% correction now, but as Marc Faber recently stated, they will come a time when money printing will not work. 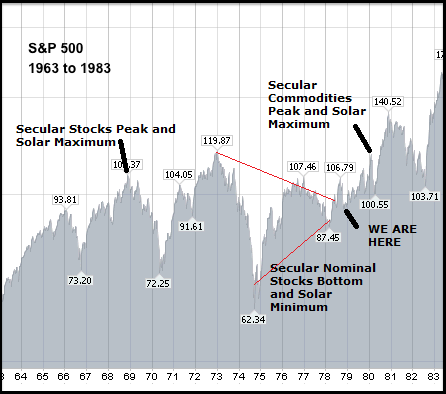 No market can rise forever and only a handful of cyclical bull markets into last 100 years have doubled and lasted this long. Obviously these are my opinions and not facts. But I think that when money printing stops working, the market will want to default a country or two in Europe, a crash will happen and much much larger trillions will need to printed next time around! In late 2008, gross profit margins were depressed, earnings crashed, money market funds and rydex cash levels were very high and no one expect central banks to be this accommodative or print this much money. Prefect conditions for a bull market. In early 2012, gross profit margins are at RECORD highs, earnings are at RECORD highs, money market funds and rydex cash levels are very low and everyone HOPES for more money printing and more rate cuts. Interestingly Facebook IPO could easily be a major signal of a broad top. I guess ECB and Fed will do something soon. Therefore I’m bullish for now, due to oversold conditions. Maybe if Ben prints 10 trillion, I’ll be bullish on everything again! But I highly doubt it, so in weeks or months from now, I would be very very careful! I take your point. I’m just saying that if it is to rally straight from here then it is unusual that both levels of cash in the money market fund hasn’t risen and the leveraged bull/bear ratio is still high. After a move like this that is strange. If you take into account that certain price levels have been broken then an extra degree of caution is needed. As you quite rightly point out some things are trading at 4sd( of course the importance of that depends on the amount of preceding compression) and unusual moves are not only a consequence of events but can also have consequences in themselves. That’s why I’m waiting for that last confirmation, but I accept I might miss the move if I’m too clever. Even though the Citi Surp Index has paused it’s decline it hasn’t broken a trend yet. That is a great catiouary approch. I also have not bought stock calls yet. I usually buy without so much confirmation. John, in your favour my model still says that price will reach 1342 by Friday at the latest. John, this is a great post. Early on I was given the sage advice that the smarter and more analytical your market thinking, the more you will naturally gravitate to the bearish case. It takes constant reminding of what can “go right” in markets to keep this tendency balanced. Thanks. “Fear sells” says something about the human tendency to which you allude. I don’t want to throw things off topic here but am going to do so, to some degree. I am also going to talk at a much lower level: less technicals and historical analysis and just simple daily observations. I am quite social and talk with many people of all ages, races, and income levels. I am noticing more and more of my friends either a) are pulling money out of markets, as that is the ongoing trend recently; b) have no money to put to work because they have to meet other (debt) obligations, or c) have no clue or no interest in investing their money in the markets. Now while this is nothing new in any type of environment, it has caught my eye more recently more than ever before. Am I paying attention more now than before? Possibly, but I don’t really think so. Does this have to do with the current economic environment? Sure, but to what degree? The point I am getting at is I am seeing less and less people invest their money and more and more people “stash” it away or use it as soon as they get it for obligations, both from the young guy with just a bit of cash on the side to the more established husband/wife with a family and a solid debt/income ratio. This seems to be a growing trend, especially with my friends that are younger than me. In particular, the new wave of what would be the so-called investor is not investing but rather spending at what I believe to be is at alarming rates with any regards for future needs of cash (within my inner circle). Just one example, albeit extreme, I saw a friend recently spend a couple plus thousand on his new media room in his house only to tell me yesterday that he has maybe $100 to his name. I could only shake my head and shrug. I am seeing more and more of this type of behavior recently. This isn’t an overnight phenomenon and maybe it is not here to stay and we can debate why this occurs, but bottom line is I have been seeing this more recently now than ever before. I am questioning where the new money is going to come from as the baby boomers exit equities and into “safer havens” (whatever the hell that means now-a-days). This goes for 401k contributions as well, not just individual investing. 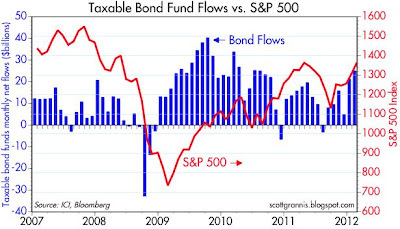 Everyday we here the silliness on CNBC or B-berg about how investors are searching for higher yielding financial instruments since savings rates pay squat and bonds are “in a bubble”. However from my end of things, I see people just holding on to what they got or in some cases, spending it with little regard when they get it, all irregardless of what the Fed churns out via any QE or QE-like program. I’ll say it again, this is nothing really new or groundbreaking, but it is becoming more alarming by the year for me. Like I said earlier, my range of friends and acquaintances is very broad so I am getting a feel for a large portion of America (I believe). Maybe this is just a phase and the current generation will change ways, but I have my doubts. I would like to think this is more of a right here-right now epidemic via the economy, but I believe it is something greater… more of a belief change. I am very bearish on the new generation focusing on capital appreciation but rather preservation or just spending it as fast as the Central Bankers can print it. Just my thoughts and observations. Sovereignty debt crisis = currency crisis = flight to quality = US Dollar strength (which is happening). King Dollar broke out from its Darvas box and is consolidating for the next move (higher??). I am increasingly bearish on commodities. The weekly charts are saying we can get a lot more oversold. Late in the U.S. trading day, Rob Hanna put out a comment that his CBI would close around 10…in other words, unchanged on a strong up day. Thanks Gary, strongly suggests holding longs for now then. John many thanks for the update and consolidating all of this information into a macro view. 2013 is a panic year according to W.D. Gann so i am certainly bullish into the 1st quarter next year. Currently we are seeing the moon conjunct with Venus which is retrograde so the weakness suggested by my AstroCycle could be playing out shortly into a low in June. Thanks Anthony. By lunar phase we should see downside again next week, but because of the washout readings, I would expect a higher low if so. Hi John, you need to write more or at least I need to have you write more. It was fortuitous and serendipitous, and telepathic? That I thought of you this Sunday morning. Hope you are well! OK, I have been been extremely bullish til 2022 and 2028 approximately. This is due to Gann’s Master Time Factor (MTF). 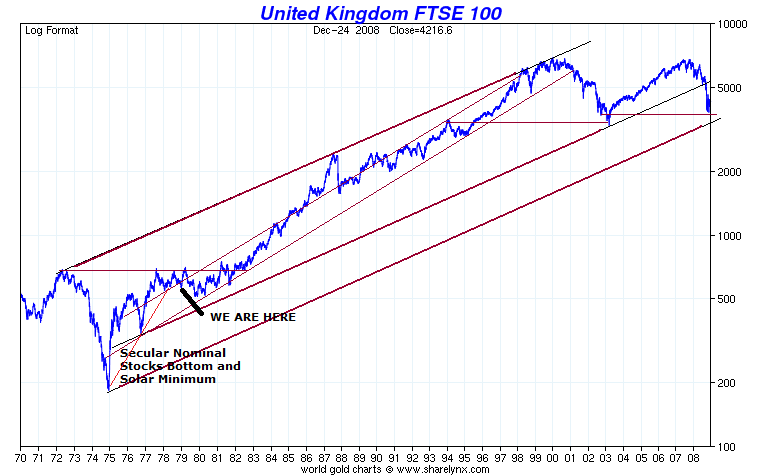 The MTF is so simple, it is the 60 year cycle which divides into 2 30 year cycles. I feel sure you have found what is behind this. I needed to see your “outlandish” prediction as I was getting weak kneed due to the bullishness in the charts – my contrarian nature.